best used to improve flavour of other food. powdered leaves can be sprinkled on berries/drying meat to repel insects. 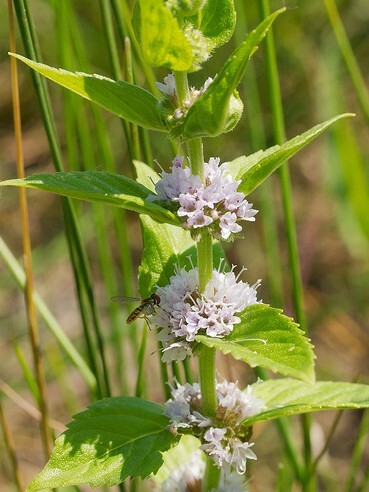 varieties in Ontario are Wild mint (Mentha arvensis), Spearmint (Mentha spicata) and Peppermint (Mentha piperita). grows in moist areas in plains, foothills, and montane regions.